The base concept of data encryption is very easy. Two sides have decryption and encryption keys and send information and data between each other, and if the data is intercepted in the way, it is impossible to read from the interceptor. While the base idea is more than simplistic, the actual craft is not. As always, perfect is the enemy of the good in this case as well, with the cypher that is impossible to break would also be gibberish to the person receiving it, while a system that is very easy and fast to decipher with an encryption key is also easier to break without it. Every good system is striving for an optimum, as information and data should be sent quickly, but it should always be safe. 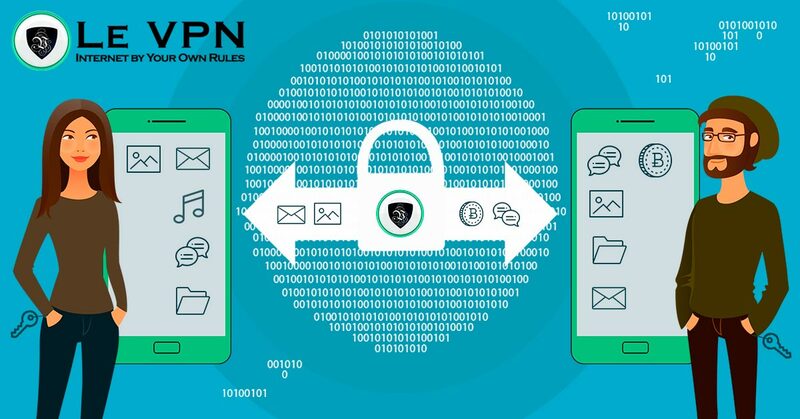 For instance, a VPN is a good example of a fast and secure encryption, as it is more based on the lack of weak points and IP masking for a large number of people. Premium VPN providers like Le VPN focus more on the idea that the user should never be in danger, and not that the code itself should never be broken. Thankfully, professionals who aim to protect your data usually have so many redundancies that any identity thief would have a much easier time just inventing a new person from childbirth. Encryption is by no means a new invention, and it is actually older than writing itself, but with the advent of computers, the codes have become more elaborate and much more complex. Obviously, the processors used to break those codes have grown stronger as well. But, as some might know, the weak point of encryption is rarely the code itself, but more often the people on both ends. If the person with the key is the person stealing the information, there is no code in the world that will be able to withstand that attack. Explained very bluntly, encryption is a way to alter the form of the data so that it is useless unless seen a certain way, either using a known decryption method or by using a decryption key that is held by two parties that should know the information. Digital encryption is a bit more complex than the one done on pen and paper, but it is based on the same principles. There are two types of encryptions, each using multiple different methods to scramble and read any information that is needed. The most usual type is symmetric encryption where both the sender and the intended receiver use the same key to encrypt and decrypt the message. The other type is asymmetric, and in this case, the sender and the destination are not using the same code to scramble and unscramble the message. Between the two keys, the only thing visible to an unintended viewer is ciphertext that looks like a bunch of gibberish and random symbols. As most data, including media, can be portrayed textually, it can be encrypted in the same way making it impossible to read without an encryption key, making sensitive data secure regardless of the type of said data. Finally, one thing needed to be understood before any information about encrypting can be taken in: ‘’Encrypting is boring’’. In films they show slick secret agents reading encoded messages with a martini in one hand and a Walter PPK in the other, but in fact people who do this job are rarely gunslingers and quite often very capable mathematicians able to fix codes, algorithms, and encryption keys as to provide everyone with a strong encryption that can withstand any attack. While there are a lot of models in this business, and they sometimes have curves, these are less centerfold and more appendix type of models. Information is power, now and always. If you want to have the upper hand, you need to have information and your enemy must not. Because of this dance of deception, the first types of encryptions weren’t encrypted at all but were actually sounds. Commanders had complex horn signals that they used so that the enemy wouldn’t know what they are about to do. And there were people on the other side trying to break these codes and understand what is going on before it is too late. One of the best known encrypted ciphers from antiquity is the permutation code, where the whole alphabet is pushed, and one letter is exchanged for another. Most people are familiar with this sort of coding as it was a common occurrence with coding rings that were found in cereal boxes. This is a very simple symmetric encryption, but a functional one. As the times have progressed, encryption and cryptanalysis became more and more common; the encryption process became much more complex. At some point, the effectiveness of language itself to encrypt messages was exhausted, and people turned to math. Simple calculus became advanced math, then irrational math, and has now reached a point where there are again mostly letters in these calculations, but these letters only represent other, equally difficult calculations. What Does Data Encryption Mean Today? Some sixty-five years ago it was fairly easy to distinguish who were the people trying to steal data, as they were wearing jackboots, walking like ducks, and saluting to a guy with a funny mustache. This divide now is not nearly as easy as the people interested in obtaining our information in any way possible can range from government representatives that are certain that they are the good guys, to corporate managers doing anything just to get an edge, to some loners deep in the Russian province of Tunguska trying to steal your credit card information for no better reason but to prove that they can. Additionally, these are not national secrets people are after but your personal information. Some people think that they don’t need anti-virus and a VPN connection because they don’t have anything that sensitive on their devices, but that is usually very far from the truth, as they have their own identity there. You may not have a lot of money in your bank account, but you might have a good credit rating, meaning that someone could take out a credit card on your name and place your thousands in debt before you realize what is going on. It is not that someone would target you directly, but if your information is already easily accessible, it is much more probable that you will be attacked than someone that is accessing the internet anonymously and through a VPN encryption tunnel. These are the basics, with some very common misconceptions included. This might not teach you how to encode and encrypt your information and data personally, but this way you might have an easier time finding the correct protection. As this is an often mythicized aspect of internet protection, you might find a lot of claims online how there is perfect encryption and how some solutions have all but magical properties. Same as with everything else, if it sounds too good to be true, usually that’s because it is not true. If you have someone that is guaranteeing you ‘’perfect safety’’ you should ask how will they fight someone that is smarter and better funded then them. A good example is Le VPN, which is a professional virtual private network provider and that does use the most advanced encryptions available. Even here your security is not guaranteed by the code, but by the protocol. If all else fails, you will be disconnected from the server. The VPN provider will not play with your safety at any cost, and will not leave only a single encryption to protect the user. Codes are made by people, and even when they are made by machines, those machines are made by people. While these encryptions might be wildly complex and would require an immense amount of time and processing power to break, they will break eventually. This is why encryptions are updated so often, as those who are good at cracking these codes are always on the heels of those making the codes. If you see a claim that a code is ‘’uncrackable’’, you should always ask that claimant why do they think so? Think of the Titanic in this case, and that it is obvious that the bigger the codes and more modulated they are it would be harder to break the encryption, but as the unsinkable Titanic, there is always a chance that the encryption will break at some point, and you should be ready by then. Most information hacks don’t even bother with breaking the encryption. It is much easier to call in by phone and pretend that you are a sale rep conducting an interview, or a bank clerk just wanting to confirm a payment, than trying to break some 128-bit encryption or trying to intercept a VPN tunnel. This way the encryption is not actually broke, only the wrong person has the key now, and this means that all data with the same encryption is compromised. In cases where there is a lot of modulation, this is not a huge issue except for the person that was tricked, but if we are talking about a bank or a government institution, this might spell disaster for anyone doing business with these entities. Most security breaches happen because a malicious entity knows that you should be targeted. Disclosing your identity while suggesting that you have valuable information is a good way to give a challenge to someone who really wants to break encryptions and hack your devices. Even with weak encryptions, it is relatively easy to be safe if there is no one directly focusing on you, but if someone like the US government really wants to know what you are doing, they will employ a lot of resources and processing power to intercept your data and try to obtain your encryption keys. Practices such as ‘’flexing” where people promote their lifestyle and bank accounts over social media are probably the best way to have your data attacked. Adding to the former point, as detrimental it is to promote yourself as a target, the more beneficial it is to conceal your identity online as much as possible. Masking your IP address through a VPN will not only protect your connection with an encryption tunnel and multiple protocols but will also pool your data with thousands of others. From the perspective of a hacker, there is a possibility that they will spend a lot of time, resources, processing power, and maybe even end up with legal consequences to break an encryption, just to get information about a person that has no personal information on their device and only use the internet to look at cat videos. While most hackers don’t have anything against cats, there are cheaper ways to obtain those videos. An often question from users who switch to premium data security measures is why there are so many security measures and does that mean that these measures are individually weak. In reality, measures like the VPN tunnel are almost impossible to break, but professionals know that there is no such thing as too much redundancy. Even encryptions made under DES (Data Encryption Standard) are made as multiple encryptions on top of each other that need to be decrypted in a certain way to be readable. Stronger standards, like the Advanced Encryption Standard (AES), use either 128, 192, or 256-bit encryption and even though they are virtually unbreakable at the moment, most companies and governments that use them will additionally encrypt the most sensitive information. Le VPN uses an AES-256 code as their VPN encryption, and it still always vigilant and has multiple servers to switch over if there were ever times of crisis. As previously mentioned, most encryptions are not broken by brute force, but rather by attacking soft spots around the encryption keys and exploiting flaws with humans working the system or users not being diligent with their security. Collecting breadcrumbs left by cookies, comments, and another activity is the best way to obtain data for the cryptanalysis process without directly attacking the servers or devices. These breadcrumbs are essential in breaking the code, as they might collect data that is both in the ciphertext and in plain text, feeding the code breaker. A very common expression on the internet, this applies to the users that are trying to find the perfect way to encrypt their sensitive data and protect it from prying eyes. With a quick search, people interested in their data security will see how someone offers a free service where they will give you a VPN, an anti-Virus, encrypt all of your data, and use the most advanced encryptions. More often than not you will hear name drops like NSA, NASA, CIA, or such. Avoid these things like the plague. All of the encryption protocols that are used by the US government are ‘’open source,” and you can even look at examples of them online, it is the way they are used that makes them so strong. Additionally, people who promote lies like this usually want you to become an accomplice in the MITM (Man in the middle) attack that they are conducting against you. Always use a reputable service, that has a lot of positive user feedback, and who can explain their process or protection. Reputable companies like Le VPN have been around for some time, and have constant contact with their community. Ease of communication is a good tell for a validity of the company, as malicious individuals and companies will usually use more resources to conceal their identity form you than your identity from hackers and data thieves. When talking about data security, the tone is either bleak or very cautionary. Take into consideration that internet security experts spend their days dealing with attacks and breaches and people trying to reveal encrypted data. While everyone should be cautious, this by no means should prevent you as the user from accessing the internet and feeling relaxed while you access your favorite content online. What you should do is to dedicate a bit of time each month to your data security and to ensure that your VPN is up, that your Operating System is updated, as well as that all of the protocols are enabled. A small expenditure to use a premium service and a bit of time to set it up will make your time online as safe and relaxed as possible. Encryption is an old idea, but unlike the old days where it was useful only to kings and army generals, encryption now is something important for everyone. We all produce a lot of private information every day, and we need to secure it. Regular users should not be scared to use any service online, but they should make some steps to become protected. Having a reliable VPN service such as Le VPN to mask IP addresses and connect your devices through an encryption tunnel is probably the best way to stay protected, as these services have a lot of redundancies to protect the user even if the attack occurs. Finally, all of your sensitive data should have a strong encryption protecting it, and every user personally should stay prudent online not to give out information that should remain private. If you combine 256-bit encryption with a bit of common sense, your stay on the internet will be very enjoyable.